3rd Annual Fintech Awards, Scott Morrison MP guest of honour. It was a privilege for Tier One People to sponsor the awards and present CTO of the year. Congratulations to Jins Kaduthodil of Incent Loyalty on winning the CTO of the year award. Fintech Startup of the Year went to Trade Ledger. Congratulations to Martin McCann and Matt Born who are taking their open banking solution global. Fintech Leader of the Year went to the outstanding Katherine McConnell of Brighte, also winners of Innovation in Lending. 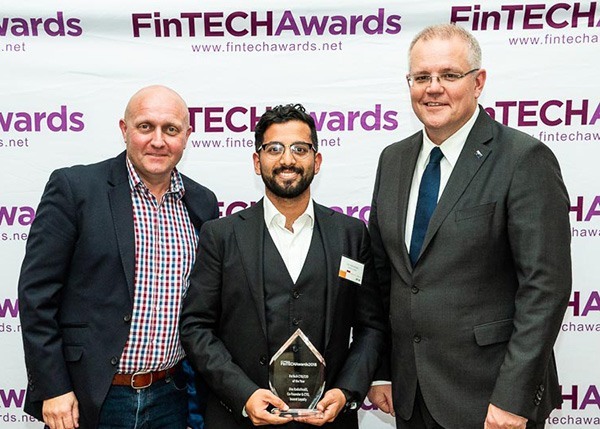 The attendees were encouraged by a heartfelt rallying call by Prime Minister, Scott Morrison MP, expressing his support for the Fintech community. He made it explicitly clear the Open Banking programme is a Government priority. The PM is relying on the Fintech industry to make the programme a success. If successful, it could well be the template for all future Australian innovation. Scott Morrison has put a flag in the sand with Australia’s Open Banking initiative set to go live 1st July 2019. He seems personally and politically invested in Open Banking and committed to supporting the Fintech community. Well done to all the winners and a big thank you to Glen Frost for the amazing work he does in providing such a professional platform for the Fintech industry.